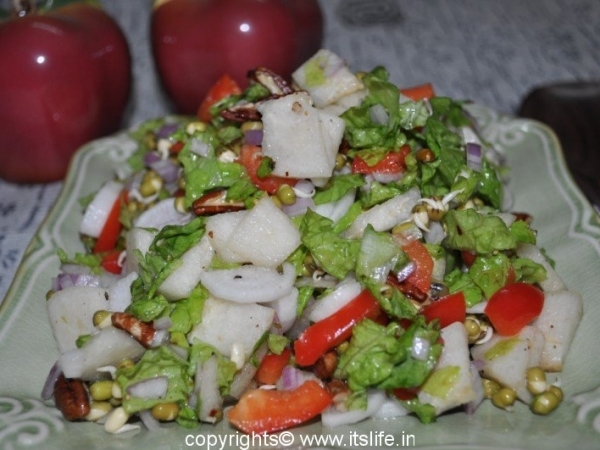 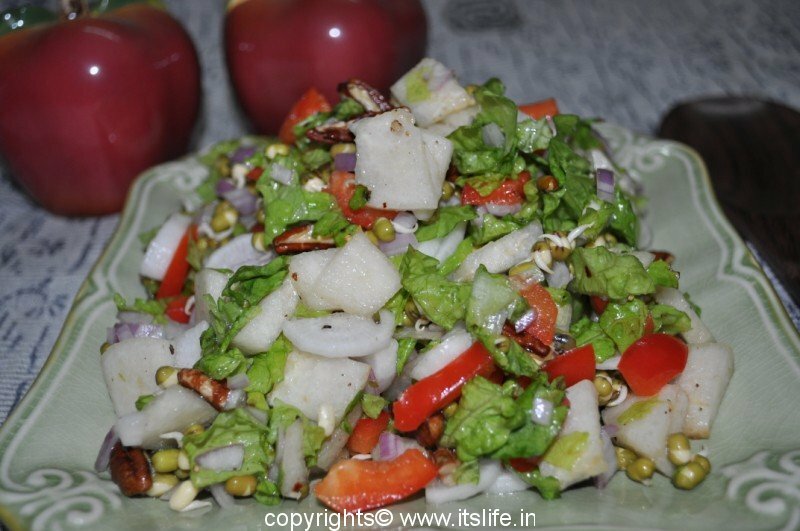 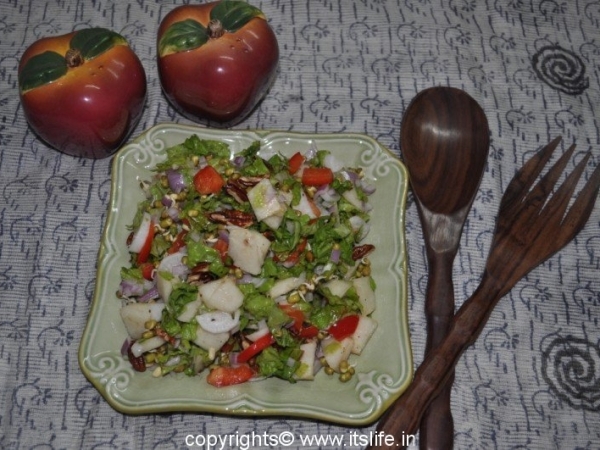 Pear Salad is a delicious and healthy salad. 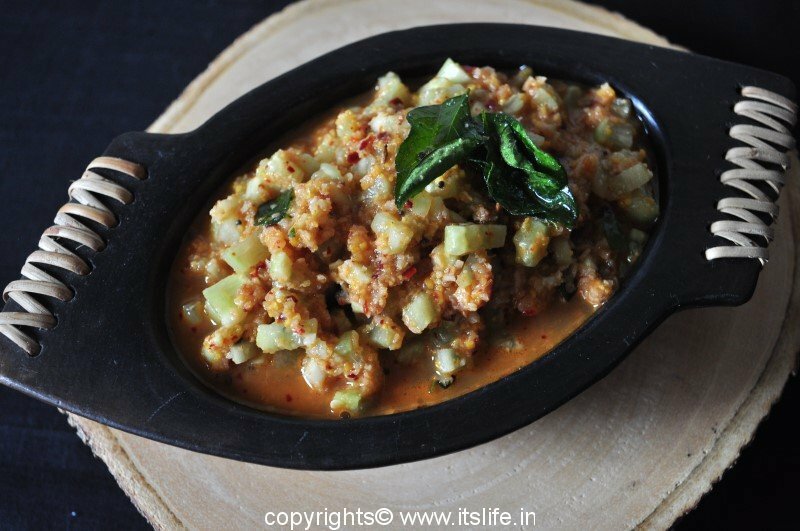 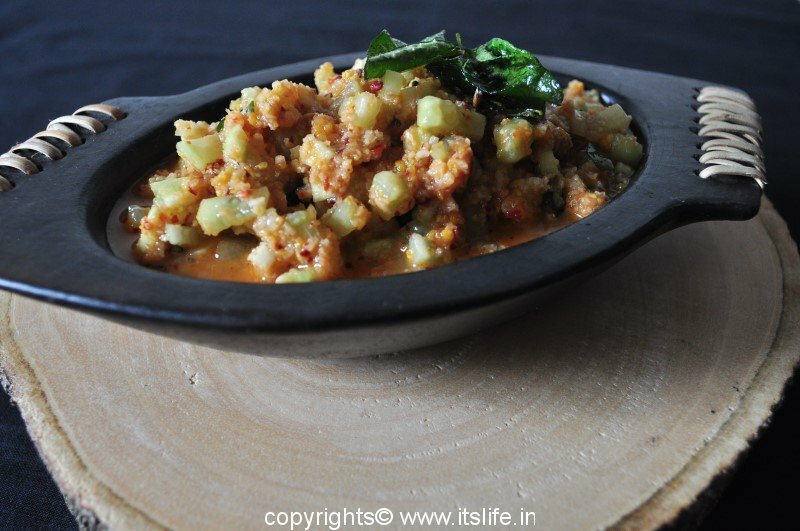 Can be served as an accompaniment or as a snack. 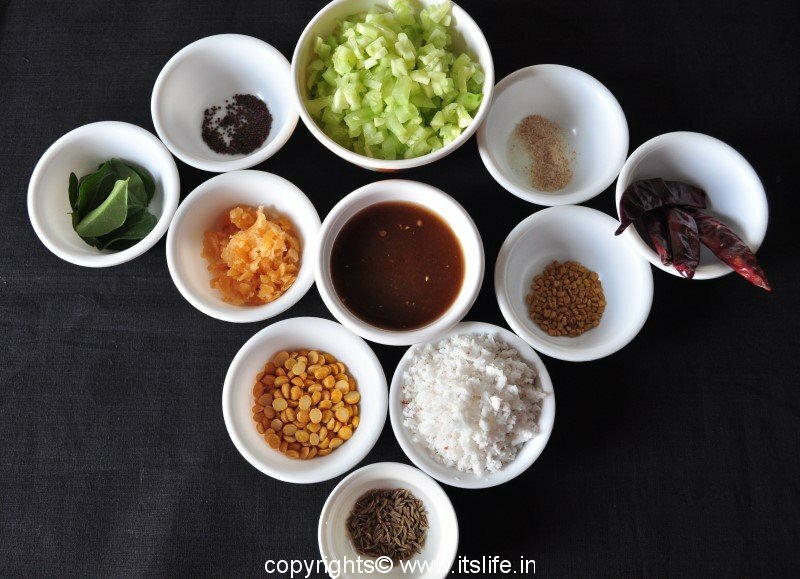 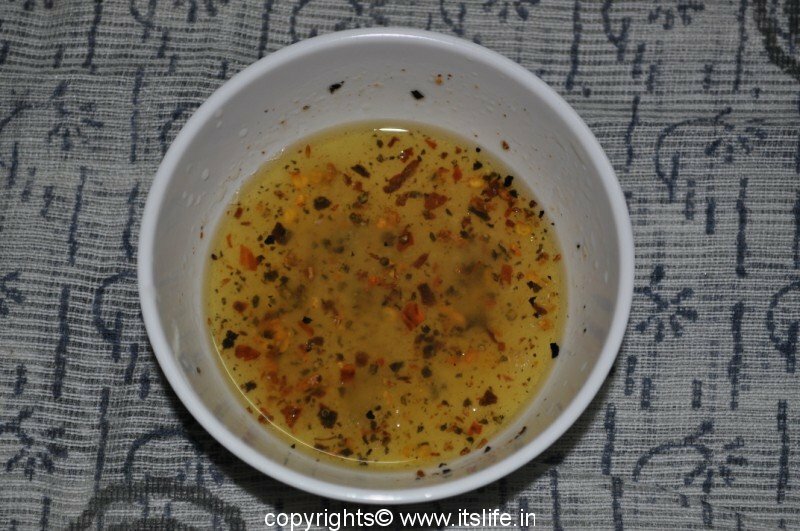 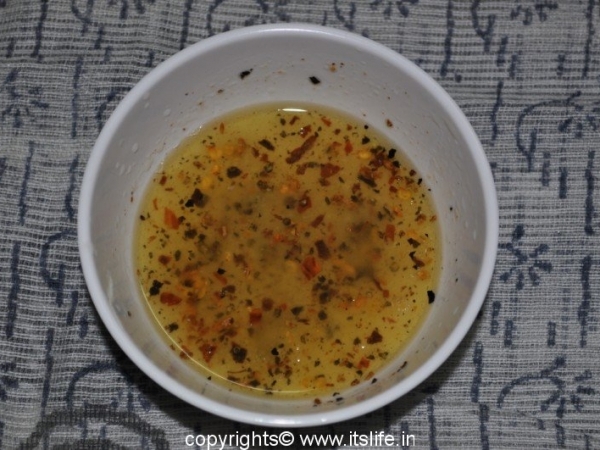 In a cup, mix Oil, Salt, Pepper, Chili Flakes, Sugar, and Lemon. 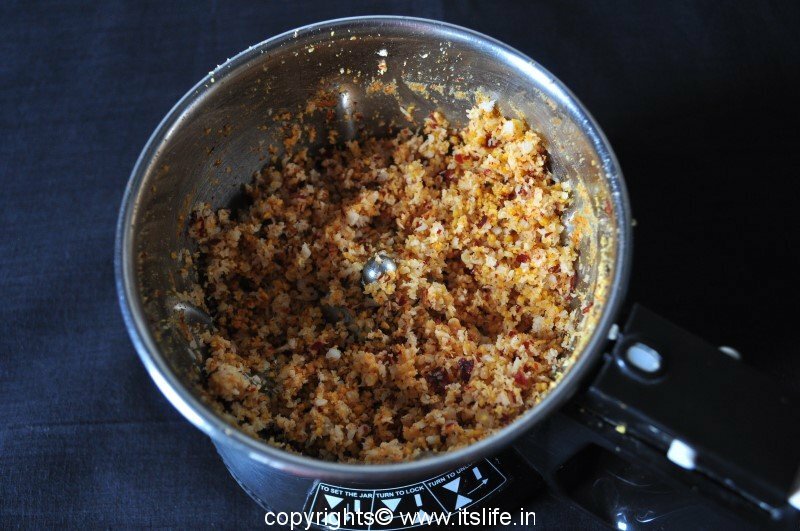 Toast Pecan nuts and keep it aside. 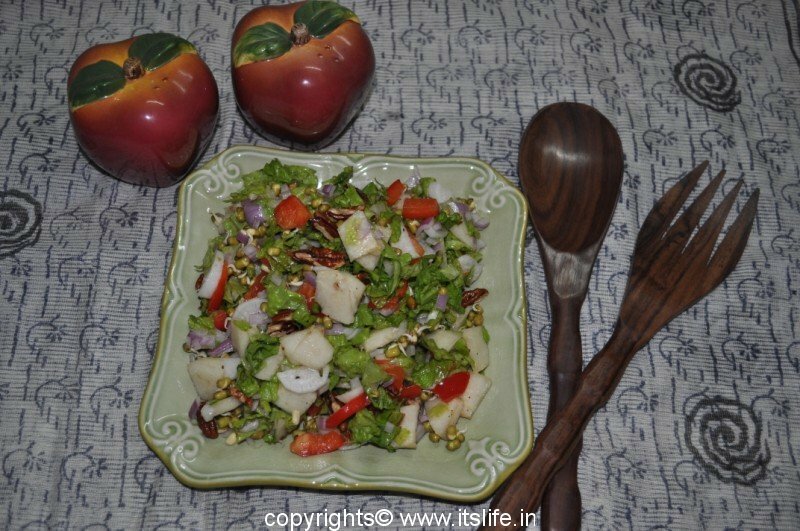 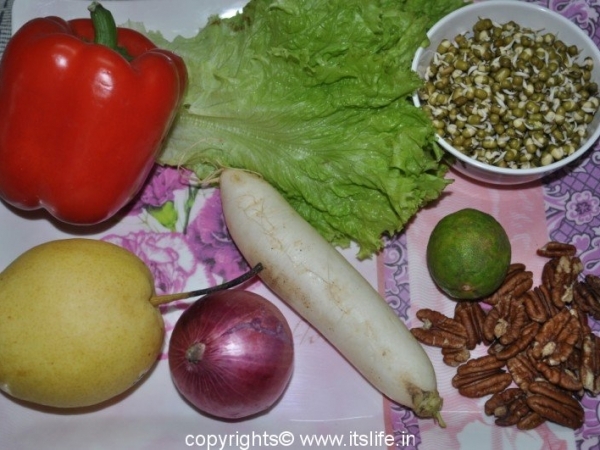 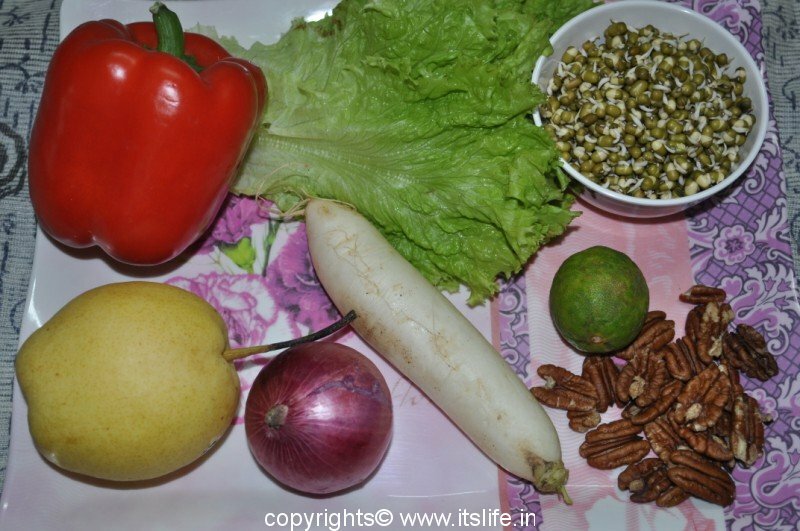 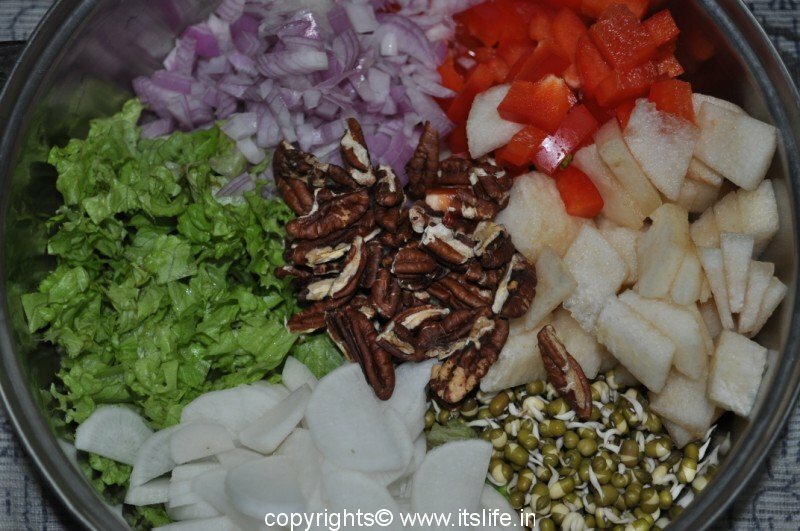 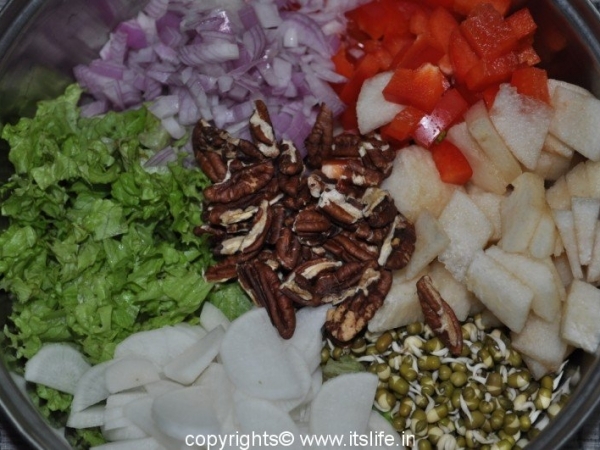 In a salad bowl, mix Pear, Vegetables, Lettuce, Sprouts, and Pecan nuts.